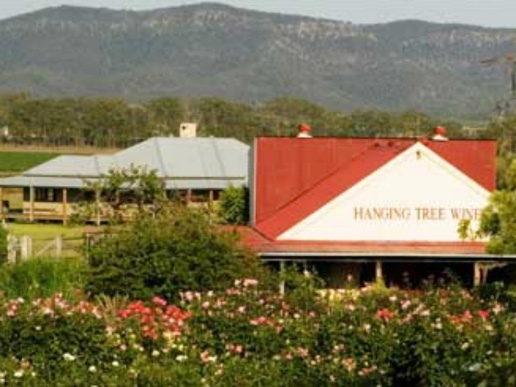 The Hanging Tree vineyard property consists of 60 undulating acres, eighteen acres of which are under four vine varieties: Chardonnay, Semillon, Shiraz and Cabernet Sauvignon. These vines are more than 15 years old, with the oldest Shiraz vines at 45-50 years. This, coupled with the rich clay soil has contributed to the success of the award winning wines. The Hanging Tree Cellar Door (once a cow shed) is decorated with antiques and vintiques and warmly welcomes all with its rustic charm. 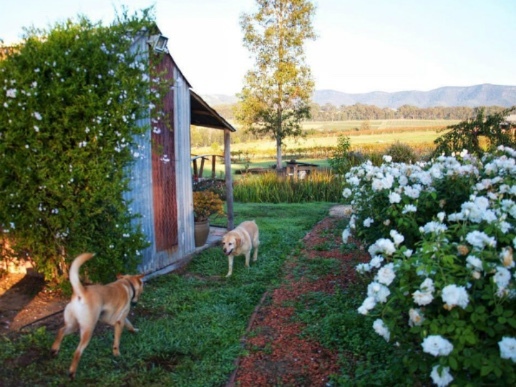 The vineyard is lovingly cared for and maintained by Michael Wright, one of the most experienced viticulturist in Hunter Valley. 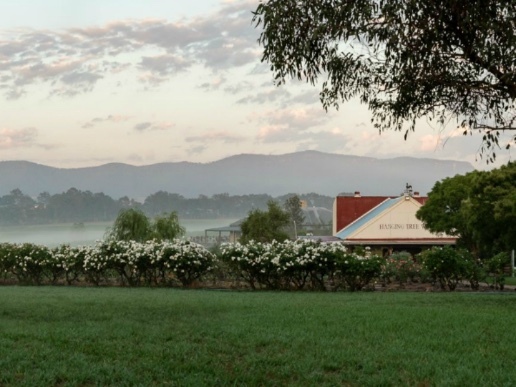 The land itself is surrounded by the Brokenback Mountain Range and the very foundations of the vineyard feature rich volcanic soil and red clay that ensure that the grapes are nurtured into maturity in the ideal conditions.